Myanmar is a country of nearly 53 million, that is nestled between India and China. Yangon, its former capital, is a vibrant city known for its crumbling colonial buildings, amazing food and the famous Shwe Dagon Pagoda. Being one of the fastest growing cities in South East Asia, there is definitely no shortage of things to do, sights to see or foods to eat in Yangon. 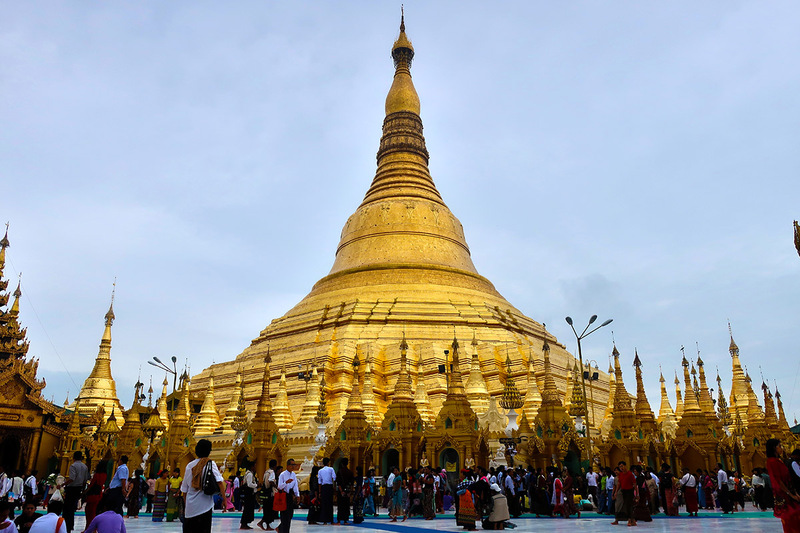 Built in the 15th century, the Shwe Dagon Pagoda is one of the must-see sights in Yangon. Try to beat the crowds and the heat, by going around dawn. The sounds of the chanting monks and the toll of the pagoda bells will make the early morning wake up call worth it. Once you’ve had your fill of Shwe Dagon, it’s time to fill up your stomach, breakfast! And there’s plenty of options to choose from at the many local tea shops that are scattered across town. 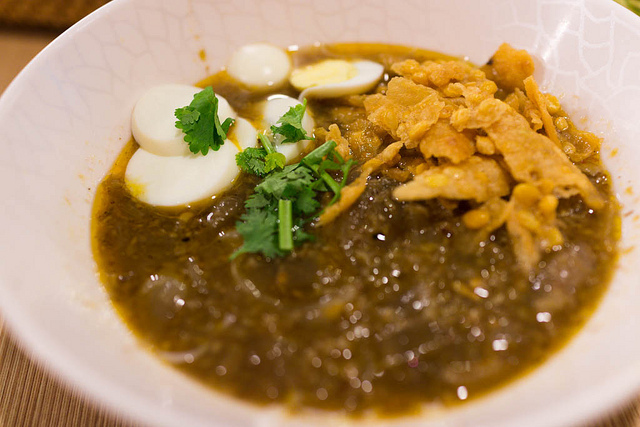 Try the Prata (flatbread), or if you’re looking for something more filling, the Mohinga, a traditional fish noodle soup. And of course, no breakfast is complete without the Burmese traditional milk tea (cho seint laphet yay). By mid-afternoon, you will likely want to run for the hills to escape the burning sun. 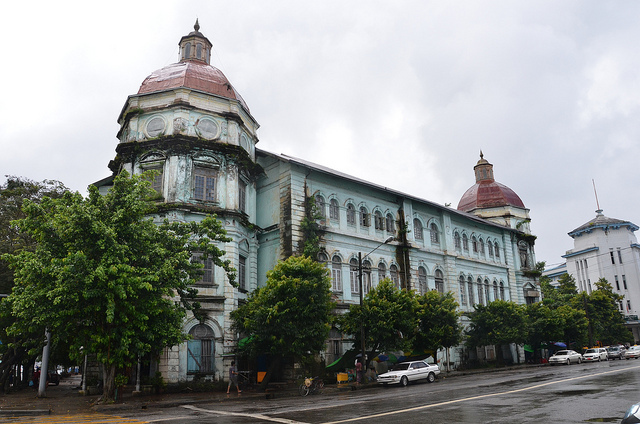 Instead of the hills, run towards heritage buildings in downtown Yangon. 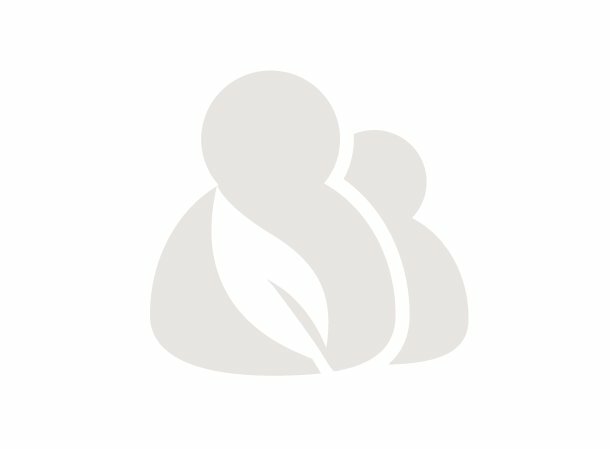 Yangon Heritage Trust, a local organization that works for the conservation of Yangon’s heritage buildings, have tours for those who’d like to learn more about Yangon’s history. If you are up for even more exploring at the end of the day and want to try something a little off the beaten path, head out to the suburbs, like Thuwanna. 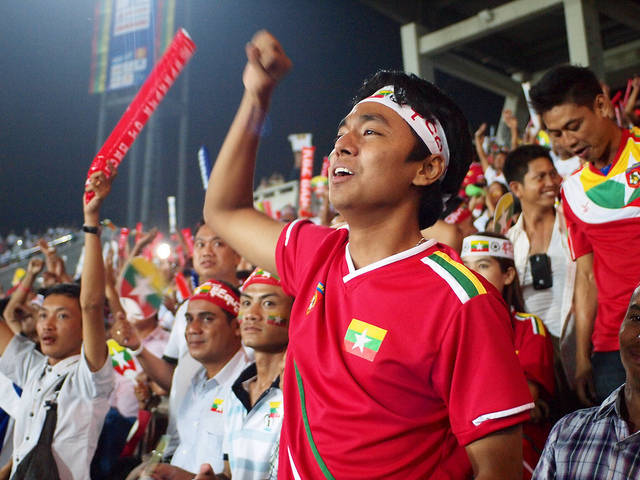 Thuwanna is home to both of Yangon’s indoor and outdoor sports stadium, try to catch a football (soccer) game or if your stomach can take it, a traditional lethwai (Burmese bareknuckle boxing) match. We take our sports events very seriously, so the energy is like no other! If, however, you’d like to unwind at somewhere a bit calmer, there’s no better place to do just that than at Mahabandoola Park. You can sit back, relax and enjoy the sights and sounds of this crazy but amazing city, alongside Yangonites in the heart of downtown.